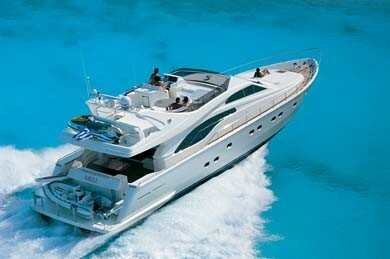 Motor Yacht MELI is a GRP yacht with an overall length of 21,16m (69 ft 5 in) and built in 1999 by Ferretti. 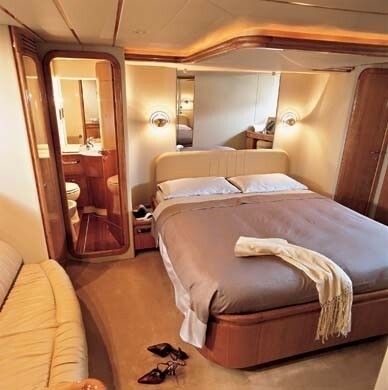 Motor Yacht MELI sleeps a total of 8 guests in 4 cabins including a full width master cabin, VIP cabin and 2 twin cabins. 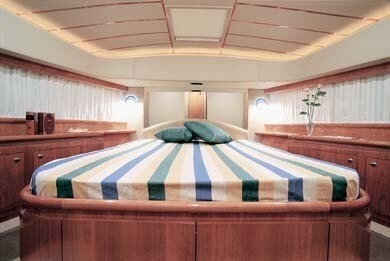 There are a total of 3 crew members. 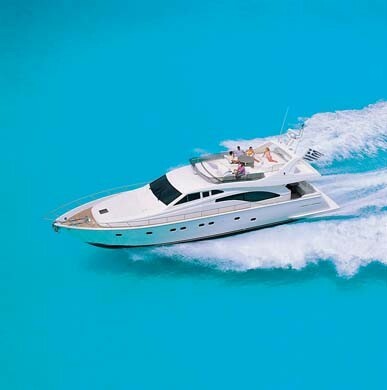 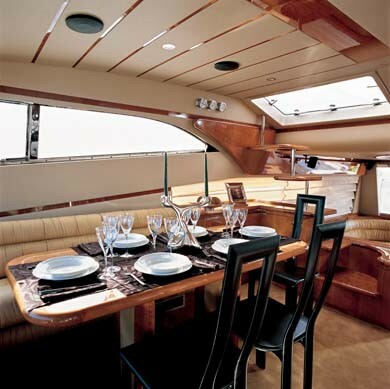 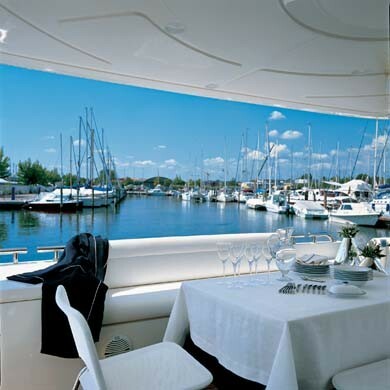 Motor Yacht MELI is a comfortable cruising yacht of exceptional performance with a cruising speed of 28 knots. 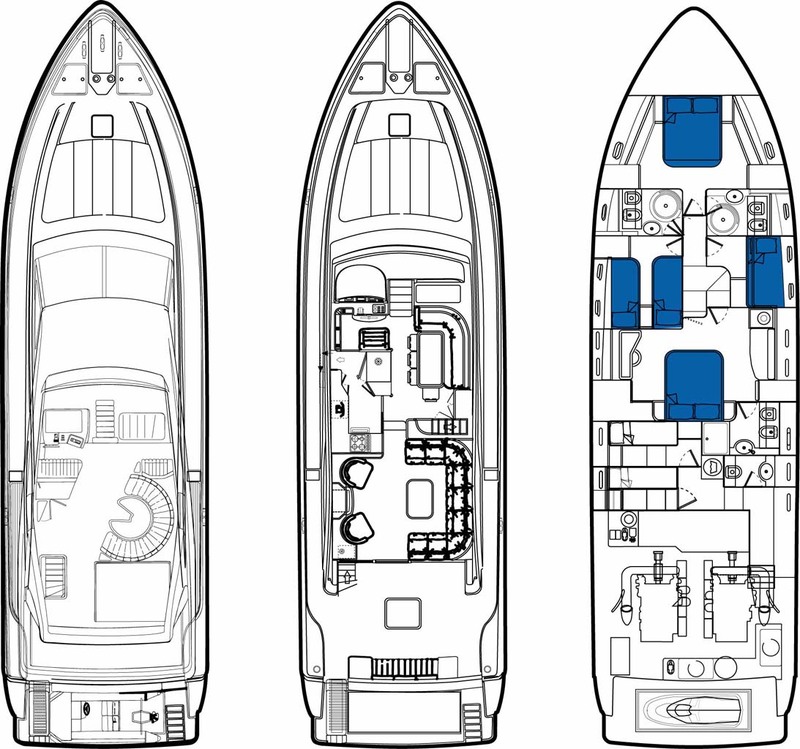 She has a spacious sun deck, roomy aft deck and a full width salon. 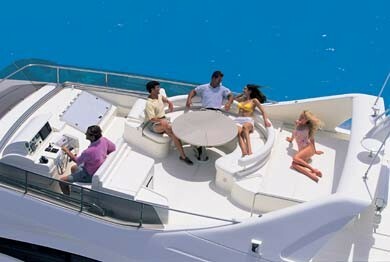 MELI is fully air conditioned with cream interior furnishings providing a spacious and luxurious ambience. 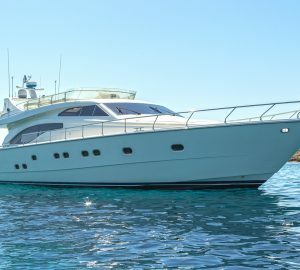 With up to date navigation and communication equipment, and three well chosen crew who have their own separate quarters and deck access, privacy for you and your guests is assured. 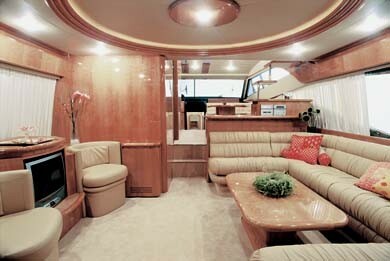 Motor Yacht MELI accommodates 8 guests in 4 cabins being Master, VIP, twin bedded and an upper and lower berth cabin.